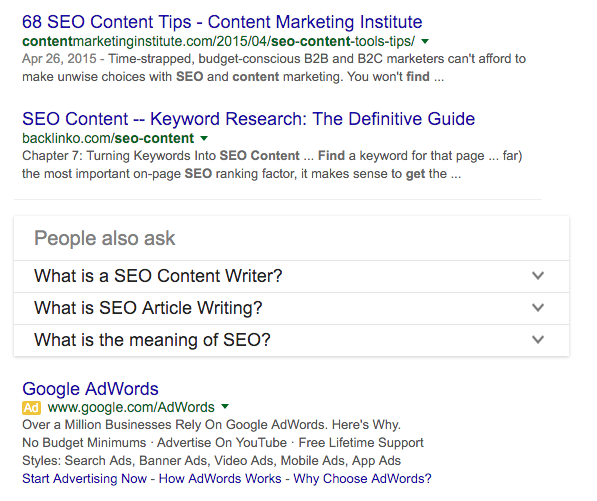 Google seems to be showing more and more of the "people also ask" feature in the search results. Pete Meyers from Moz said on Twitter that there was a jump in how often Google is showing them in the search results. Truth is, I've been noticing them show up way more often in the Google search results as well. Google ramped it up back in July 2015 after testing it a lot in April 2015. Now it seems to show for over 9% of the queries Mozcast tracks. Do you see it more often?